Marty and Anita are CONSISTENT TOP PRODUCERS WITH A LONG TRACK RECORD OF REAL ESTATE SALES and SATISFIED REPEAT CUSTOMERS!! Trust your biggest investment to the most knowledgeable agents available. Achievements: RE/MAX Hall of Fame, Lifetime Achievement Award, Platinum Club 2011,2012,2016-Associate Broker, 100% Club, Quality Service Certified, Accredited Buyer Representative, Certified Residential Specialist, Graduate of Realtors Institute, RE/MAX Realtors for over 28 years. Expertise is selling Residential Properties, large and small. Over 1500 home sales, Over $170 million in total settled transactions, and hundreds of satisfied customers in CHESTER COUNTY, PA! Emphasis on Complete Customer Satisfaction. I first met Marty Lockhart in early spring 2001 when we were trying to buy a house in West Chester but had to sell the house we owned in Coatesville/Wagontown. Then in the summer of 2001 everything seemed to come together. We had a buyer so we placed on offer on the house in West Chester. However about a week before closing, our buyer bailed on us. We called Marty and explained our situation. Marty contacted the buyer and literally talked him into changing his mind!! Fast forward to 2017. We decided to move to Florida. I immediately contacted Marty about selling our house. By the time I called Marty I had found a house in Pensacola FL. We were supposed to close on the Florida house in June 2017 but couldn't really afford to carry two mortgages. Not a problem for Marty. Even though we went about 10 days with no nibbles, Marty changed the asking price and within five days we had not one but two offers!! Soon after the higher offer was accepted our movers loaded us up and we were on the road to Florida. Now here is the great part. We closed on both properties within ten days of each other! He has those interpersonal skills you want in a realtor plus he will never keep anything from you. If you need to do something to enhance selling the house, he WILL tell you. But he says it in a way you feel like it was your idea! I have worked with Anita on my last two home purchases and she was fantastic through the whole process. Both sales were unique, a foreclosure and an off market deal, but she had the knowledge and expertise to guide me through everything without ever feeling confused about what was going on. She was always available and able to answer all of my questions. I would highly recommend working with her for either buying or selling a home. 4/3/18 Anita did an outstanding job helping me and my wife buy our first home. She answered every question, email, text, and phone call with supreme confidence and professionalism. She got us the best deal possible and we barely paid any closing costs! Not only did she get us a great deal, she set us up for the future, making sure our home will have great re sale value. We will definitely be using her when we plan on selling our home. I would highly recommend Anita if you are looking to buy/sell your home. Highly likely to recommend01/31/2017 - jfparker2-Sold a Single Family home in 2016 for approximately $275K in Coatesville, PA. I have known Marty for over 30 years.He has help us to sell 3 homes.I have recommencement him many times to other people.He also found us a great realtor when we moved to Florida. Highly likely to recommend01/31/2017 - cshay77-Sold a Single Family home in 2016 for approximately $225K in Coatesville, PA.
Martin listed and sold our home very quickly, listed in June and settled in August. He helped us with every step along the way from helpful suggestions on preparing our home for listing, a very informative CMA to confirm where we should price our home and expert skills during the negotiation process. He helped us through every step from accepting the offer to the settlement table. I will absolutely recommend Martin and will use him again in the future. We would recommend Marty Lockhart to anyone looking to buy or sell real estate. Marty worked with us to locate and purchase a new home, and sell or current home. Throughout the process Marty was a true professional and constant supporter. He helped us through each step of the process. He was available 24/7 to answer questions and provide the guidance we needed. It was through his extraordinary efforts that we were able to find a buyer for our house. His use of technology to track interest led right to the correct buyer. He was side by side with us as we settled on both our current and new homes. He was a constant source of encouragement. He saved us money in the long run by giving us expert advise on th best way to purchase our new home. 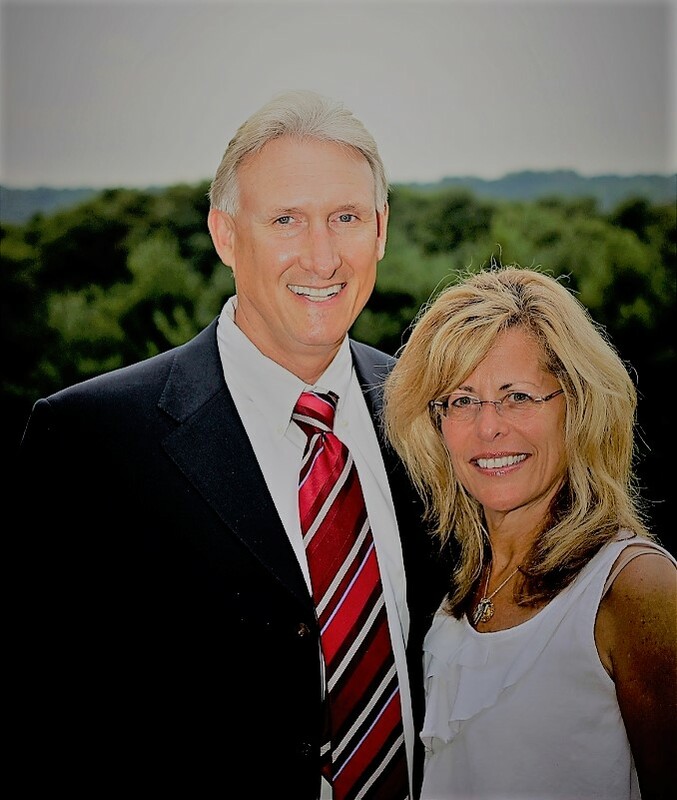 We feel Marty is the best there is in all areas of real estate, and would not hesitate to recommend him to anyone. Highly likely to recommend01/31/2017 - MARY F THOMPSON-Sold a Single Family home in 2016 in Spring City, PAIn a few words, Marty is our hero. He will be your hero too and will get your house SOLD! We were having difficulty selling our home. When we changed agents and hired Marty, our problems were over, truly. Not long after hiring Marty, we received two offers on our home and with Marty's expertise and knowledge, we accepted one of those offers. Still, there was work to be done in the house, inspections and such and we had already moved into our new home about 45 minutes away. We need not about going back and forth between houses to let people in, etc. Marty did it all, from hiring contractors, scheduling inspections, workers, etc. Once we had an Agreement of Sale, the hard part was over for us and we could exhale. Settlement was smooth sailing. I tell everyone I meet about Marty even if they are not buying or selling a house and most often, they already know him. Marty's reputation, ethics, professionalism, etc are off the charts. Marty goes the extra mile and we will be forever grateful to him.Highly likely to recommend! Highly likely to recommend01/31/2017 - jajh982Sold a Single Family home in 2016 for approximately $475K in Coatesville, PA.
4/3/18 from Aurielle-Admin Assistant-I could not have had a better experience buying a home than I had using Anita as my real estate agent. My fiance and I were looking in a competitive market, and she went above and beyond to get us into new properties within hours of them hitting the market. She was professional, quick to respond to any question we had, and always had out best interests in mind. Once we had an offer on a house, she went through the paperwork step by step to make sure I understood everything I was signing. If you want to feel like you are making all the right decisions when buying a home while simultaneously working with an all around wonderful person, I recommend using Anita. I would use her again in a heartbeat. 4/3/18 from Patty S.-Anita helped my sister and me sell our Mother�s home. She did a great job, from start to finish. She was able to negotiate the best price and made everything so easy for us. Anita is very nice to work with and is dedicated to her clients. I highly recommend Anita for your real estate needs.